Accede recognizes the importance of timely and accurate tax filing, be it year-end tax filings or ongoing payroll and business information filings. Whether you are an individual entrepreneur or a small to medium for-profit or non-profit, Accede can be instrumental in the planning and preparation of your tax filing and compliance. 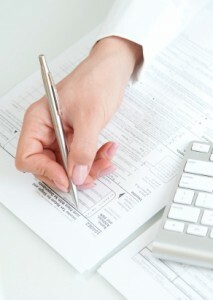 Individual – We cater to individuals, generally Schedule C filers, who are emerging, growing, or winding down. For-profit – We specialize in small to medium for-profit organizations that are emerging, growing, transitioning, or winding down. Non-profit – We offer small to medium non-profit organizations competitive rates on 990 EZ preparation. We emphasize electronic tax filing of Federal and State monthly, quarterly, and annual forms for our payroll clients. We can assist in setting up electronic accounts for payroll related compliance and filing such as business registration, reporting new-hires, filing and paying sales and payroll taxes.